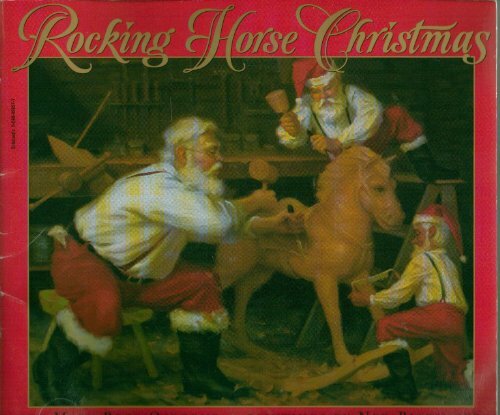 A rocking horse, outgrown by its little boy owner, faithfully waits by the attic window for his friend to return, in a holiday-appropriate story in the spirit of The Velveteen Rabbit. 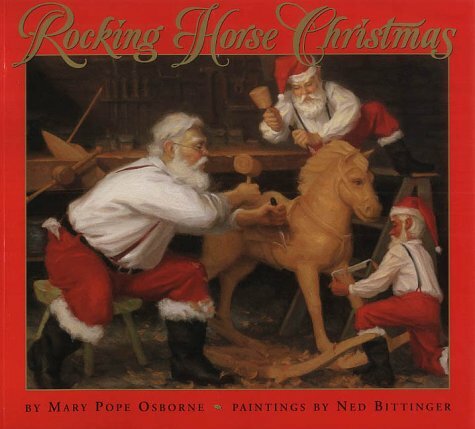 Mary Pope Osborne is the acclaimed author of many books for children. She is best known for her Magic Tree House series as well as her titles in the Dear America and My America series. She lives with her husband in New York City. A native of Washington, D.C., Ned Bittinger attended Landon School in Bethesda, Maryland, before leaving the area for Denison University in Ohio. He returned to D.C., however, to earn his Master's of Fine Arts degree at George Washington University, and now lives in Rappahannock County, Virginia, with his wife, Mary. Bittinger is an award-winning painter of portraits, and his subjects have included James A. Baker and Lawrence Eagleburger for the State Department; Shirley MacLaine; Nancy M. Kissinger; and many leaders of the corporate, legal, medical, and diplomatic professions. Bittinger also paints landscapes and figurative scenes, and his work reflects the influence of such great artists as John Singer Sargent, Ilya Repin, Valentin Serov, and N.C. Wyeth. His use of the alla prima” technique, in which wet paint is skillfully manipulated, gives his brushwork and thus his paintings immediacy. 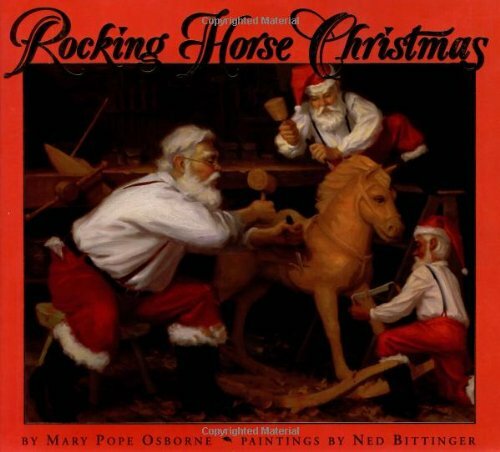 It is this energy that makes his work particularly suited to illustration, and readers will remember his stunning paintings from Fran Manushkin's The Matzah That Papa Brought Home, Eve Bunting's The Blue and the Gray, and Mary Pope Osborne's Rocking Horse Christmas. Kindergarten-Grade 3. 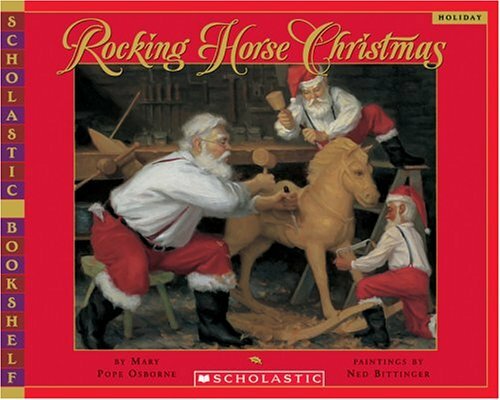 A story that's as rich in the spirit of Christmas as it is spare in its choice of words. Thrilled with his present of a rocking horse, a boy takes all sorts of wonderful imaginary trips. As he grows up he moves on to other interests. Meanwhile, the horse laments his playmate's absence. Finally, it is relegated to the attic. Years later, a small boy discovers the horse with delight. For this had been his father's horse, his "oldest friend in the world." And soon this new boy and the old horse gallop away to their own adventures. Bittinger's oil paintings on linen are rich in palette and detail. 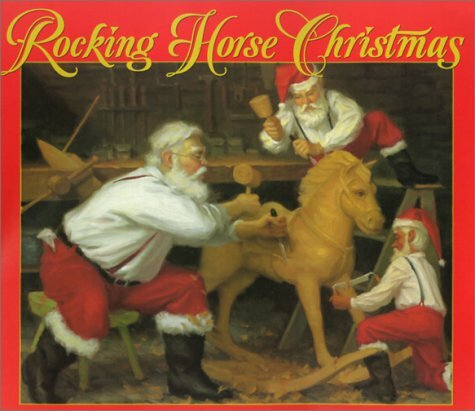 The cover and the title-page illustrations showing Santa making and delivering the horse might well go unnoticed, but they are intrinsic to this story and so much a part of its charm. The scenes where the boy's imaginative play surrounds him with cowboys, knights, race horses, and jungle animals are so alive with motion and energy that they fairly leap off the page. The unnamed youngster could be any boy and this horse could be any toy, any treasure, that enables a child to become an adult made richer by memories and imagination. The theme of toys outgrown and put aside but not forgotten is so well-done here that it will strike a chord with many children.